The Christkindlmarket tree, with the First United Methodist Church towering above. 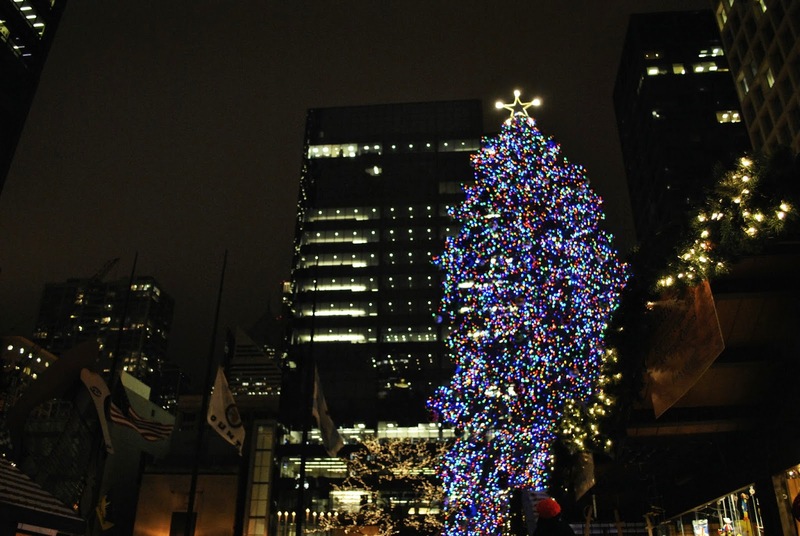 Christmas in Chicago is full of tradition. Now that I've lived here for three years, I'm creating my own. 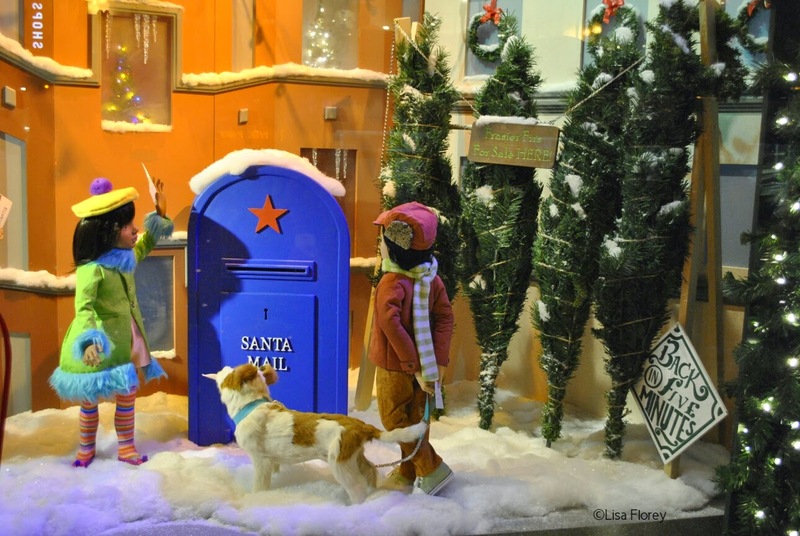 Two of my Chicago favorites so far: the Christmas window displays at Macy's and Christkindlmarket. 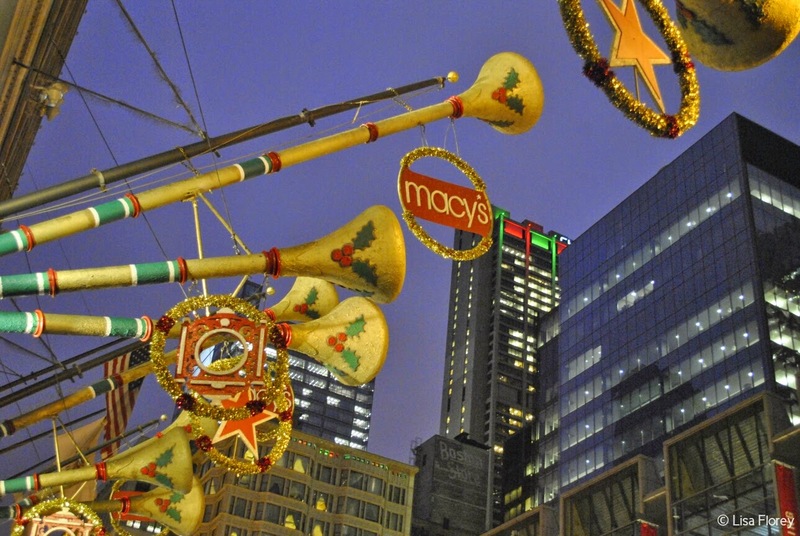 The Macy's Christmas trumpets line State Street every year. Since 1897, window shopping has taken on a new meaning on the block of State Street occupied by Marshall Fields (now Macy's). 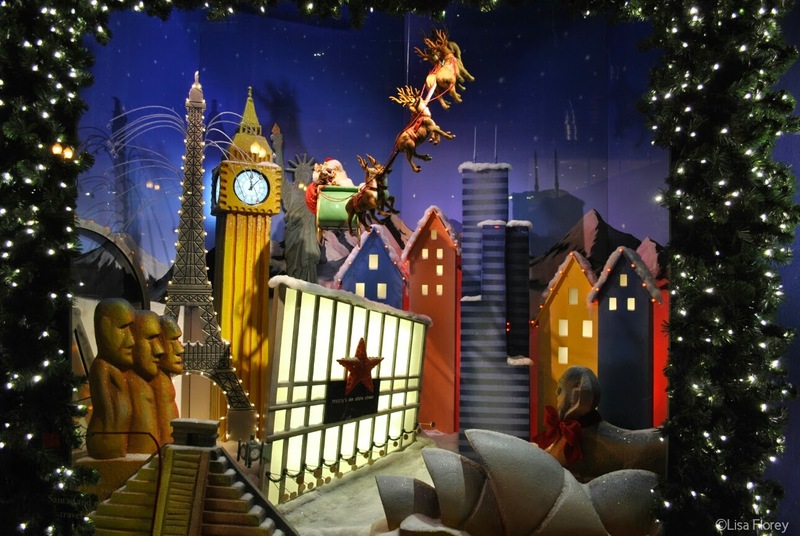 The animated displays are designed and constructed anew each year. 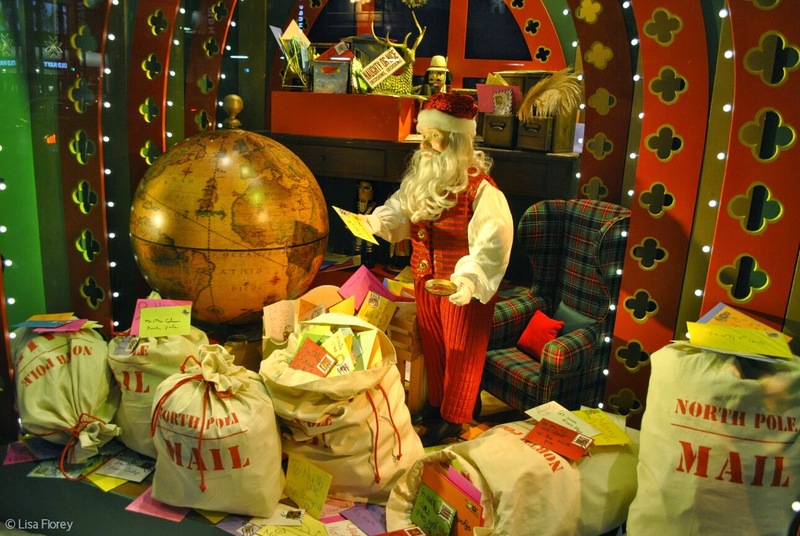 This year's theme is "The journey of a Christmas wish" and, as usual, the details are incredible. 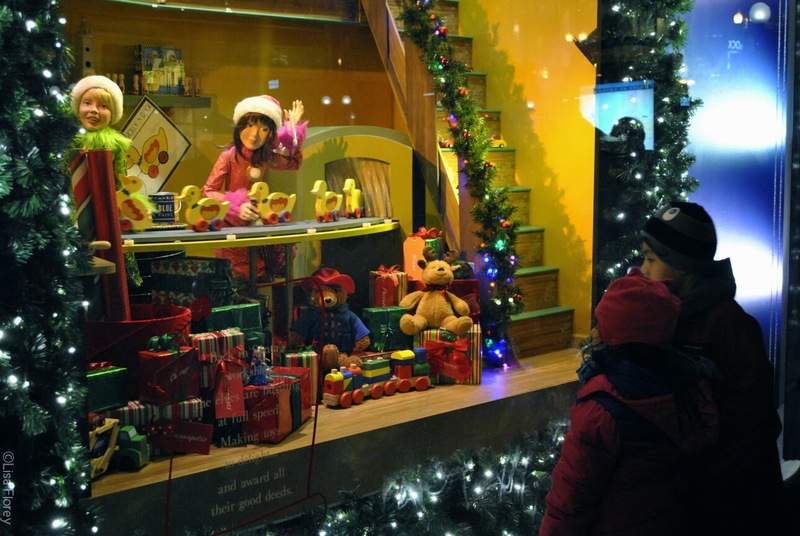 It's really fun to walk along the sidewalk, take in the display and watch the faces of kids (and kids at heart) as they check out the windows. Love the details. Even the dog has a letter for Santa. One of my favorites. I wanted to capture the silhouette of a kid looking in the window (without being a creeper! ), but there were so many people around, it was hard. 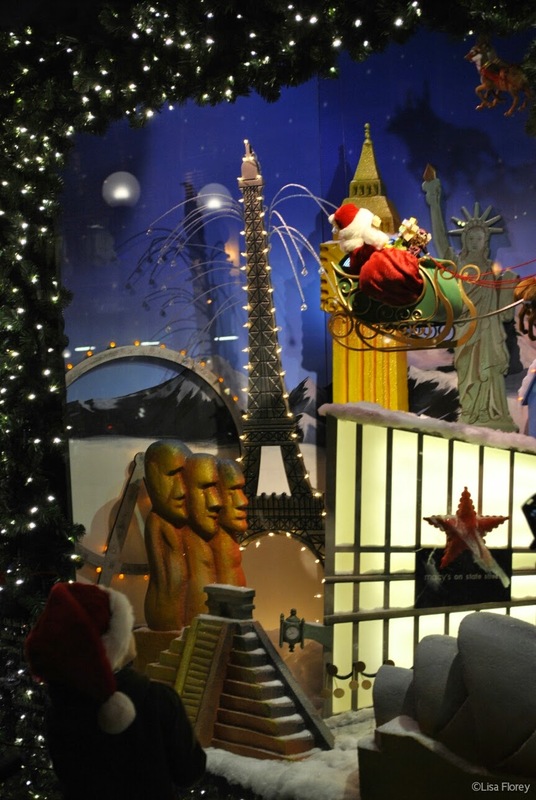 Full view of the "global" window & Santa's sleigh. 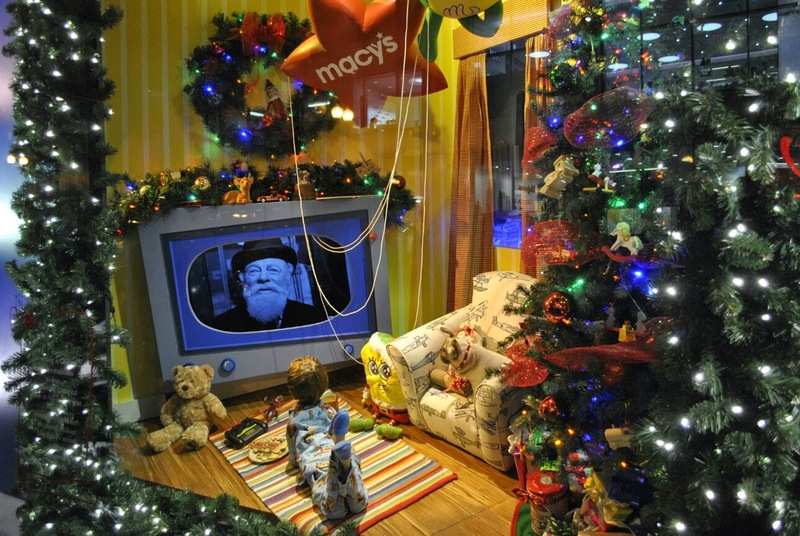 Macy's on State is also home to a 45-foot Christmas tree. I'm not sure why I didn't go inside to see it -- I've never been inside the Walnut Room where it's housed. 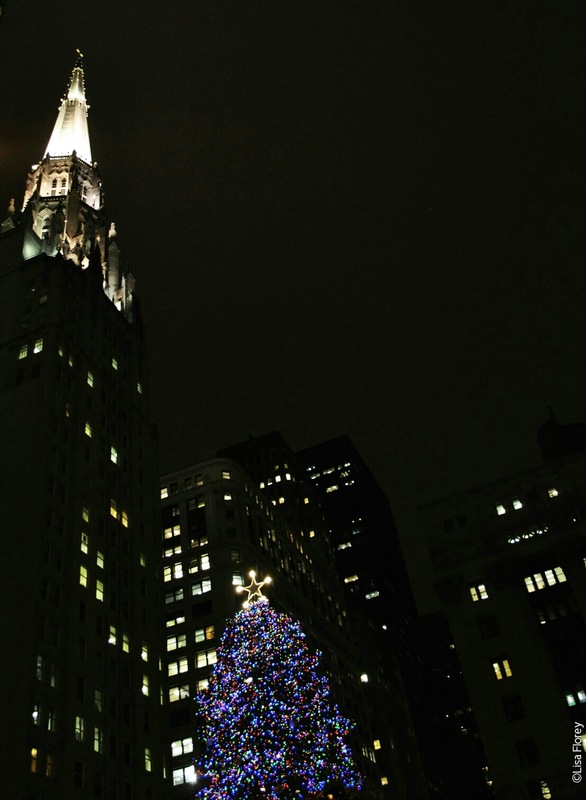 I'll have to make a point of seeing the Walnut Room and the Great Tree the next time I go downtown. 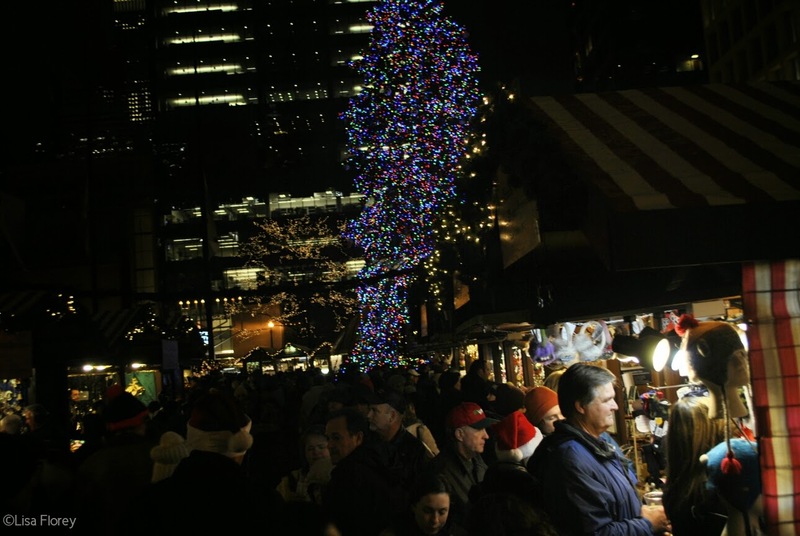 My second destination on this visit downtown was Christkindlmarket, just a few blocks away in Pioneer Square. I had the "mandatory" gluhwein (German mulled wine) in a souvenir mug as part of the festivities, although I skipped the selfie in front of the Christmas tree in favor of prettier photos! Yes, it really is that crowded!